Monrovia – When Liberia was engulfed in a mystery surrounding the disappearance of millions of local currencies last year, Augustine Ford aka Fo4Doe, and his friend, Skinny boy Kpanto unleashed the hit single, “Bring our Containers Back.” Nearly a year later, reggae-beats man, Rabbie Nasrallah, aka Nasseman is continuing to trek the trail of the missing money with his latest hit making the rounds on the airwaves and sparking chatters on social media – “Who Stole the Money” (from the Central Bank)? The tune asking the burning question is the latest to delve into what happened to billions of dollars in local currency and the lack of transparency and accountability surrounding US$25 million infused as a mop-up exercise to help curb the rising foreign exchange rate. “They are stepping on the root because they don’t’ want to tree to bear fruit; they step on the truth, they cut off the truth,” Nasseman says of politicians on his new track. 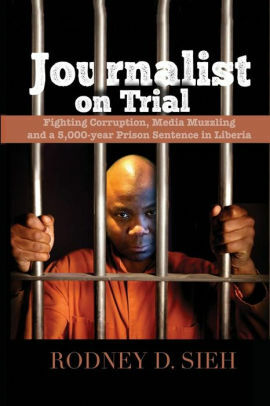 Separately, the Special Presidential Task Force recommended that given the many discrepancies noted in the manner in which the mop-up exercise was conducted in relation to the infusion of the US$25 Million into the Liberian economy; and the scope, time and financial resource limitations encountered by the PITTC, the TEMT and the Central Bank of Liberia put a halt to the exercise, and that a forensic investigation of the entire mop-up exercise be conducted without any delay. President George Manneh Weah, on Thursday, March 7, gave the General Auditing Commission (GAC) a two-week mandate to report on the findings of the Presidential Investigative Team’s report, which calls for a ‘forensic investigation’ of the entire US$25 million mop-up exercise carried out by the Central Bank of Liberia, and the report done by Kroll. 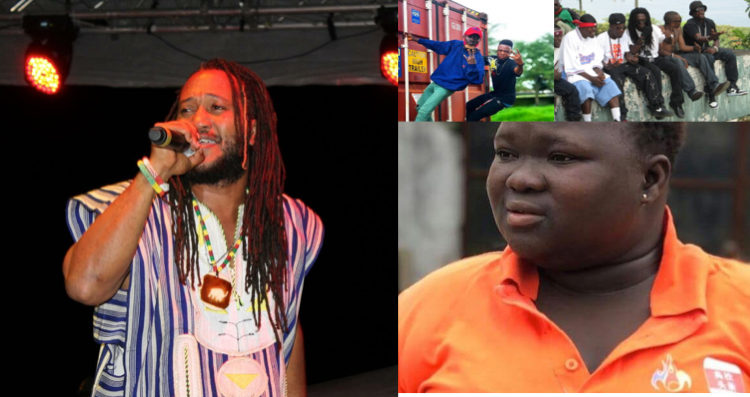 As lingering questions hoover over the scandal, Hipco artists like Nasseman, Fo4Doe and others are using their music to add weight to the new political dispensation in Liberia. Nasseman’s latest, “Who Stole the Money (from the Central Bank)” follows the 2017 Hipco Collaboration banger, Pot-Boiling Remix which featured X-Polay, Romeo Lee, JD Donzo, Luckay Buckay, Takun J, and Bentman Tha Don, which addressed widespread corruption in the former administration of Ellen Johnson-Sirleaf. On the Pot-Boiling Remix, singer Romeo Lee sings about the reality of Papa coming home but can’t even afford to buy a spoon in a dog-eat-dog nation where everybody pot boiling except those languishing at the bottom of the economic ladder. Like the Pot-Boiling Remix, Nasseman’s “Who Stole the Money (from the Central Bank) hits to the core, using a figurative question to wonder how leaders past and current have used Liberia as a cash cow to loot the country? Drawing his inspiration from the missing container of local currency, the singer, who is also an ambassador for Transparency International, says the chorus has been in the works for some time now. “As the anti-corruption ambassador artist, I like to write songs like this – as you know I wrote a song called Bonkey which won the anti-corruption award. The same sentiments expressed by AFo4Doe and Skinny Boy Kpanto in interviews with FPA last October for their hit, “Bring our Containers Back”. “We always let things to pass by, especially money issues in our country can just die and no one can talk about it. This is not the first time that money is not accounted for. However, this time around we won’t only talk about this issue, but it will also be recorded through music since we are musicians. We will talk about it through our songs even if the government doesn’t give account, a record will be there,” he said. The musician says they are the voice of the voiceless, the voice of the underprivilege, the voice of the people that want to speak but they don’t have the chance to get their voices out there and should be the ones blowing the whistle on injustices in the society. As Liberians await the outcome of yet another report, this time from the General Auditing Commission, Nasseman hopes the song will continue to pile the pressure until the truth surfaces. “We need some investigators on board, we need to critically look at the matter, so that the matter can be properly concluded and information disseminated among the common people and they can know how their money has been spent – even the US$25 million that was given to Yanna Boys under the guise of a mop-up exercise, we are yet to hear any information as to what has happened. So, the question still continues, who stole the money?